I had such a lovely Christmas & I always love to see what people got from loved ones... Here are a few things I got given by my generous family and friends. 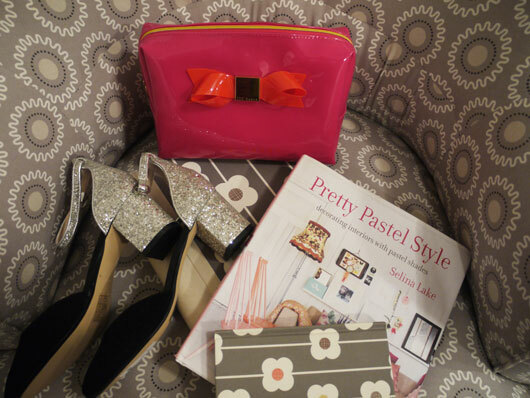 Ted Baker Make up bag, Pretty Pastel Style Interior Design Book, Orla Kiely address book & sketch book, Glittered Heels from Topshop. This Christmas the lovely people at Halifax contacted me about a new campaign they were launching called ' Giving something Extra' where by they sent me gift vouchers for Amazon to buy a friend something extra special for Christmas. I decided instantly to gift a good friend of mine who i dont usually buy for which I thought would make a nice surprise for her. I personally find amazon so easy for picking gifts for people, and had no problem picking what to get her. 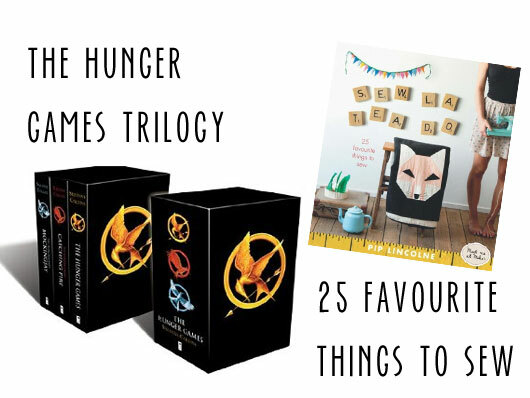 Having talked about the new Hungers Games film I knew my friend hadn't read the books so first in my basket was the trilogy of the three books together. Secondly I picked up this book which I actually had saved in my wish list for myself one day. We both love crafts and sewing but knowing she is a beginner I thought this would be suitable to try her hand at. Great gifts both given and received. Surprising people with gifts is actually one thing I plan on doing more of this year, just simple things to say I'm thinking of people and the like! Oooh those shoes are beautiful! Absolutely obsessed with these silvery shoes!